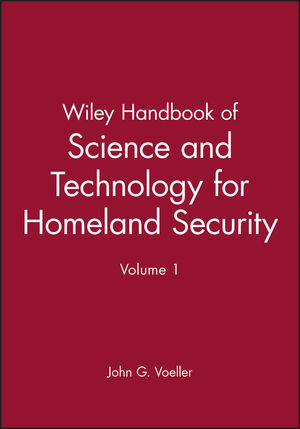 The Wiley Handbook of Science and Technology for Homeland Security is an essential and timely collection of resources designed to support the effective communication of homeland security research across all disciplines and institutional boundaries. Truly a unique work this 4 volume set focuses on the science behind safety, security, and recovery from both man-made and natural disasters has a broad scope and international focus. Radiological Technology Alliance (CBRTA), working on advanced technology to deal with terrorist threats with 13 major companies. He has also served as chairman of ASME's Critical Asset Protection Initiative, leading eight teams of world experts in developing industry's agenda for homeland security needs as well as planning first responder actions and risk analysis of terrorist and catastrophic incidents. 2 CROSS-CUTTING THEMES AND TECHNOLOGIES. 2.1 Risk Modeling and Vulnerability Assessment. Terrorism Risk: Characteristics and Features. Risk Analysis Frameworks for Counterterrorism. Logic Trees: Fault, Success, Attack, Event, Probability, and Decision Trees. Using Risk Analysis to Inform Intelligence Analysis. Experience with Expert Judgment: the TU Delft Expert Judgment Data. Deterrence: An Empirical Psychological Model. Scenario Analysis, Cognitive Maps, And Concept Maps. Consequence Mitigation: Current Research and Future Trends. Time-Domain Probabilistic Risk Assessment Method for Interdependent Infrastructure Failure and Recovery Modeling. Risk Transfer and Insurance: Insurability Concepts and Programs for Covering Extreme Events. Terrorist Organizations and Modeling Trends. Defeating Surprise Through Threat Anticipation and Possibility Management. Memetics for Threat Reduction in Risk Management. High Consequence Threats: Electromagnetic Pulse. High Consequence Events: Nuclear Explosions. 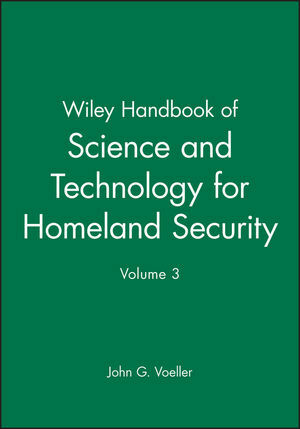 Modeling Population Dynamics for Homeland Security Applications. Protecting Security Sensors and Systems. Threat Signatures of Explosive Materials. Knowledge Extraction from Surveillance Sensors. Sensing Dispersal of Chemical and Biological Agents in Urban Environments. Sensing Releases of Highly Toxic and Extremely Toxic Compounds. Dynamic Load Balancing for Robust Distributed Computing in the Presence of Topological Impairments. Advanced Attacker Detection and Understanding with Emerging Honeynet Technologies. Authentication, Authorization, Access Control, and Privilege Management. Classes of Vulnerabilities and Attacks. Cyber Security for the Banking and Finance Sector. Cyber Security Policy Specification and Management. Cyber Security Technology Usability and Management. Detection of hidden information, covert channels and information flows. High Assurance: Provably Secure Systems and Architectures. Industrial Process Control System Security. Security of Distributed, Ubiquitous, and Embedded Computing Platforms. Trusted Platforms: The Root of Security. Protection and Prevention: an Overview. Less-Lethal Payloads for Robotic and Automated Response Systems. Protection and Prevention: Security Assessment Methodologies for US Ports and Waterways. Homeland Security Perspective on Threats and Challenges. The Sensor Web: Advanced Technology for Situational Awareness. Defending Against Directed Energy Weapons: RF Weapons and Lasers. The Forum of Incident Response and Security Teams (FIRST). Critical Information Infrastructure Protection, Overview. Critical Information Infrastructure Protection, Australia. Critical Information Infrastructure Protection, Austria. Critical Information Infrastructure Protection, Brazil. Critical Information Infrastructure Protection, Canada. Critical Information Infrastructure Protection, Estonia. Critical Information Infrastructure Protection, Finland. Critical Information Infrastructure Protection, France. Critical Information Infrastructure Protection, Germany. Critical Information Infrastructure Protection, Hungary. Critical Information Infrastructure Protection, India. Critical Information Infrastructure Protection, Italy. Critical Information Infrastructure Protection, Japan. Critical Information Infrastructure Protection, Malaysia. Critical Information Infrastructure Protection, New Zealand. Critical Information Infrastructure Protection, Norway. Critical Information Infrastructure Protection, Poland. Critical Information Infrastructure Protection, Republic of Korea. Critical Information Infrastructure Protection, Russia. Critical Information Infrastructure Protection, Singapore. Critical Information Infrastructure Protection, Spain. Critical Information Infrastructure Protection, Sweden. Critical Information Infrastructure Protection, Switzerland. Critical Information Infrastructure Protection, the Netherlands. Critical Information Infrastructure Protection, United Kingdom. Critical Information Infrastructure Protection, United Nations. Critical Information Infrastructure Protection, United States. Critical Information Infrastructure Protection, the World Bank Group. Critical Information Infrastructure Protection, European Union. Critical Information Infrastructure Protection, NATO. Critical Information Infrastructure Protection, Group of Eight (G8). 2.5 Human Social and Behavioral Research. Audience sensing and tailoring for preferred and forced decision style. Consequence attribution (forward and reverse). Deception detection, tools for counterterrorism and homeland security. Human behavior and how it adjusts our actions in complex events in both positive and negative ways. Human emotion and its involvement in overt events for both observer and victim. Human perception and attention in information-rich and event-overloa situations. Information analysis and distillation under time constraints. Information Collection and presentation in high data volume and multiple timescale situations. Temporal analysis and synchronization for proper understanding of real event sequences. 2.6 System and Sector Interdependencies. System and Sector Interdependencies: An Overview. The Genesis of Interdependencies Concepts. Analysis of Cascading Infrastructure Failures. Characterizing Infrastructure Failure Interdependencies to Inform Systemic Risk. Critical Infrastructure Protection Decision Making. Cyber Security Metrics and Measures. Geospatial Data Support for Infrastructure Interdependencies Analysis. Implications of Regulation on the Protection of Critical Infrastructures. Inherently Secure Next-Generation Computing and Communication Networks for Reducing Cascading Impacts. Input-Output Modeling for Interdependent Infrastructure Sectors. Interdependent Energy Infrastructure Simulation System. Managing Critical Infrastructure Interdependencies: The Ontario Approach. Network Flow Approaches for Analyzing and Managing Disruptions to Interdependent Infrastructure Systems. Object-Oriented Approaches for Integrated Analysis of Interdependent Energy Networks. President's Commission on Critical Infrastructure Protection and Presidential Decision Directive 63. Vulnerability Assessment Methodologies for Interdependent Systems. Naturalistic Decision Making, Expertise, and Homeland Security. Security and Safety Synergy: Advancing Security with Human Factors Knowledge. Human Behavior and Deception Detection. Speech and Video Processing for Homeland Security. Classification and Clustering for Homeland Security Applications. Training and Learning Development for Homeland Security. 3.1 Agriculture and Food Supply. Decontamination and Disposal of Contaminated Foods. Developing Risk Metrics to Estimate Risks of Catastrophic Biological and Bioterrorist Events: Applications to the Food Industry. Early Detection and Diagnosis of High-Consequence Plant Pests in the United States. Insects As Vectors Of Foodborne Pathogens. Livestock Agroterrorism and the Potential Public Health Risk. Microbial Forensics and Plant Pathogens: Attribution of Agricultural Crime. Mid-Infrared Sensors for The Rapid Analysis of Select Microbial Food Borne Pathogens. Mitigating Consequences of Pathogen Inoculation into Processed Food. Mitigating Public Health Risks from an Agroterror Attack. Optimal Investments in Mitigating Agroterrorism Risks. Potential for Human Illness from Animal Transmission or Food-Borne Pathogens. Pulsenet: A Program to Detect and Track Food Contamination Events. Risk Assessment, Risk Management, and Preventive Best Practices for Retailers and Foodservice Establishments. Risk Communication: An Overlooked Tool in Combating Terrorism. Social, Psychological, and Communication Impacts of an Agroterrorism Attack. The EDEN Homeland Security Project: Educational Opportunities in Food and Agrosecurity. The Global Food Supply Chain. The Role of Food Safety in Food Security/Defense. The Use of Threat, Vulnerability, and Consequence (TVC) Analysis for Decision Making on The Deployment of Limited Security Resources. Vulnerability of the Domestic Food Supply Chain. Decontamination methods for drinking water treatment and distribution systems. Decontamination Methods for Wastewater and Stormwater Collection and Treatment Systems. Designing an Optimum Water Monitoring System. Drinking Water Supply, Treatment and Distribution Practice in the United States. Emergency response planning for drinking water systems. Health Risk Assessment for Radiological, Chemical, and Biological Attacks. 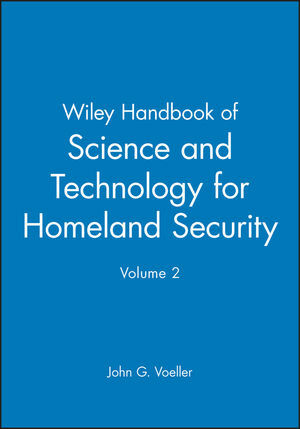 Homeland Security and Wastewater Treatment. Protecting Water Infrastructure in the United States? Setting Priorities, Conducting Research, and Sharing Results. Roles of Federal, State, and Local Authorities in Water Infrastructure Security. Surveillance Methods and Technologies for Water and Wastewater Systems. Treatability of Contaminants in Conventional Systems. Understanding the Implications of Critical Infrastructure Interdependencies for Water. Water Infrastructure and Water Use in the United States. Water Supply and Wastewater Management Regulations, Standards, and Guidance. 3.3 Communications and Information Infrastructure. Comparative Risk Assessment for Energy Systems: A Tool for Comprehensive Assessment of Energy Security. Large-Scale Electricity Transmission Grids: Lessons Learned from the European Electricity Blackouts. Biodefense Priorities in Life-science Research: Chemical Threat Agents. Developing a Threat List--Emerging Infectious Diseases. Farm Level Control of Foreign Animal Disease and Food-Borne Pathogens. Importation of Foreign Dengue Virus Presents Low Risk to US Homeland; Spread Will Not Parallel that of West Nile Virus. Practical Systems for Biosurveillance: The Military Perspective and Essence. Harden Security of High-Risk and Critical Supply Chains. 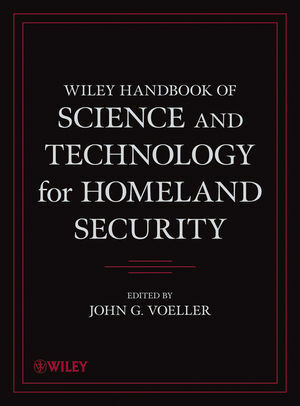 Roles and Implications of Transportation Systems in Homeland Security. The Nation's Transportation System as a Security Challenge. Finding Inadvertent Release of Information. New Approaches to IRIS Recognition: One-Dimensional Algorithms. Spectrally Adaptive Nanoscale Quantum Dot Sensors.